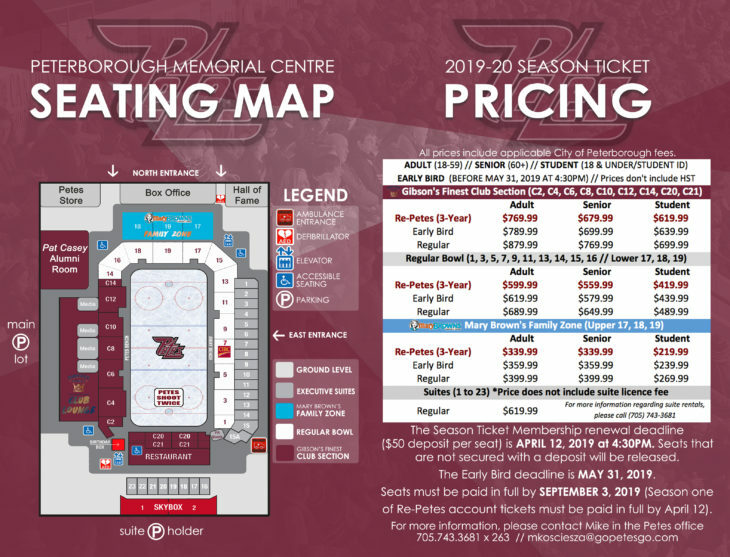 2019-20 Season Tickets are on sale now! Download the application form and join us for our 64th season of Junior Hockey in Peterborough! Looking for more information? 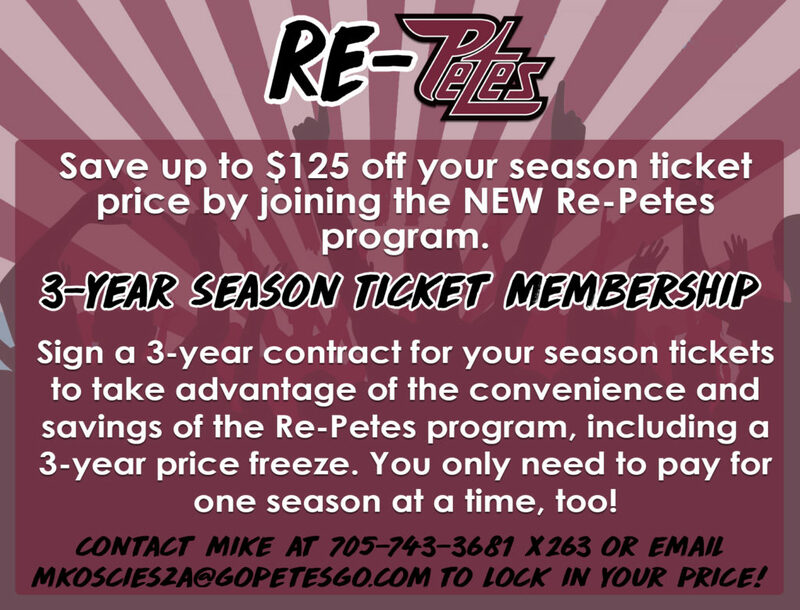 Call Mike Kosciesza at (705) 743-3681 ext. 263, send him an email, or fill out the info form below. 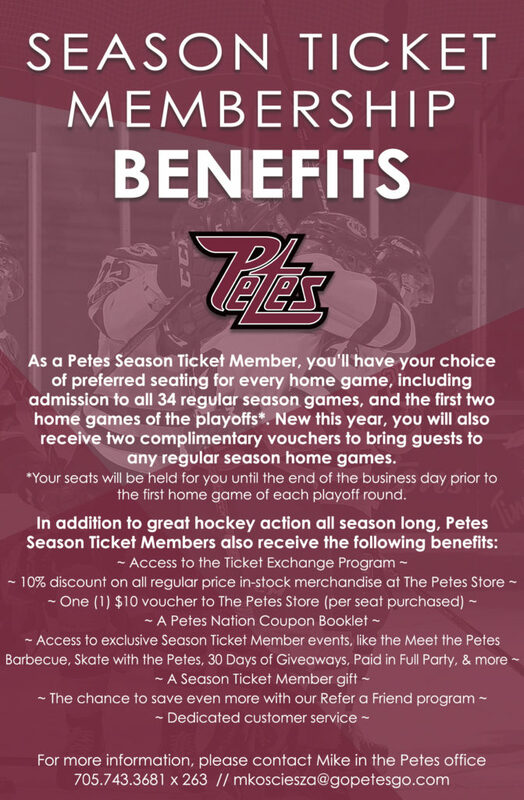 Click to fill out the application form and return it to the Petes Office to lock in your seats! Click here to download the full 2018-19 Season Ticket Book now! Looking for more information? Call Mike at (705) 743-3681 x 263, send him an email, or fill out the info form below.